Welcome to our community website supporting our proposals for new homes and public open space on land west of Engine Lane, Nailsea. The site located adjacent to but beyond the existing western settlement boundary of Nailsea. It is bound to the north by the Nailsea & Backwell Rugby Club and by properties and a farm along Netherton Wood Lane to the south. The site extends to 8.4hectares and comprises greenfield undulating land. There is no existing formal vehicular access into the site, although field gates are present along Engine Lane. A bridleway, within the site runs adjacent to the southern boundary of the site. A public right of way runs along, but outside the western boundary of the site. The site is allocated for residential development in the Publication Version of the Site Allocations Plan and the proposed development is entirely in accordance with the principles set out in this emerging plan. A full application was submitted to North Somerset Council in May 2017 and registered under planning reference no. 17/P/1250/F. The application received resolution to grant at planning committee in December 2017 and we are now undertaking the s106 legal agreement. A wide range of existing services and facilities are located within walking distance of the site, including a Co-operative supermarket, a butcher, Hannah More Infant and Grove Junior Schools and employment opportunities at West End Trading Estate located off Engine Lane. 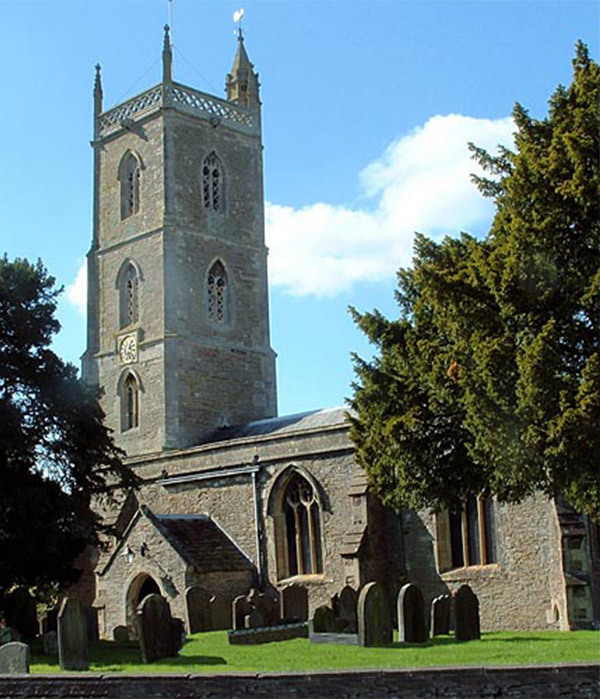 In addition, the site is within an easy cycle of the centre of Nailsea (approximately 1.6km) which contains a wider range of facilities, Nailsea School (approximately 1.6km), and Nailsea and Backwell railway station (approximately 2.5km). Bus stops along Hannah More Road are located within a level walk of the site access that provide regular services to Nailsea town centre, Nailsea and Backwell railway station, Bristol City Centre, Portishead, Congresbury and Weston super Mare. The site itself is heavily vegetated to the boundaries and towards the centre which provides landscape and ecological value. A full application was submitted to North Somerset Council in May 2017 and registered under planning reference 17/P/1250/F. 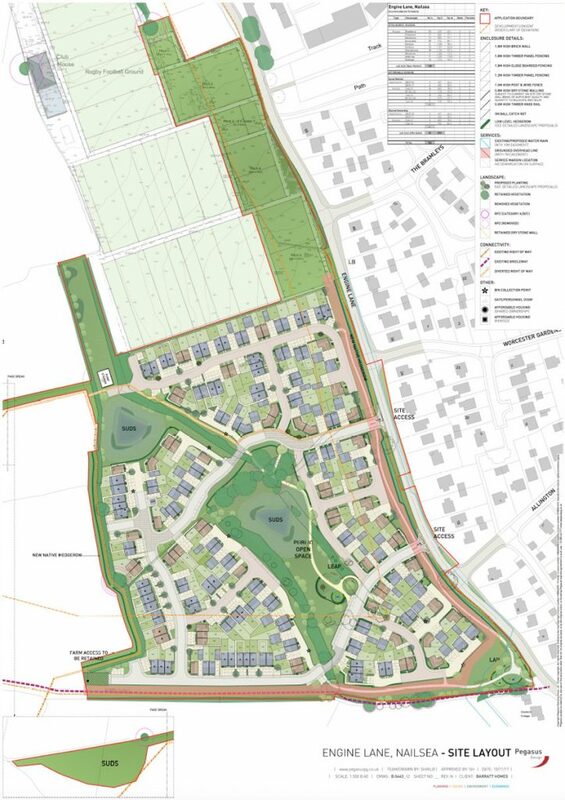 The application went to the North Somerset planning committee in November 2017 and where Barratt secured a resolution to grant planning permission for the development. The proposed development will consist of 183 homes, open space, landscaping, sustainable urban drainage, vehicular accesses, pedestrian and cycle accesses, related infrastructure and engineering works. A mix of 1-4 bedroom homes with 30% affordable housing provision. We are currently negotiating the legal agreement with North Somerset Council and dealing with some technical constraints on the site. A full application was submitted to North Somerset Council in May 2017 and registered under planning reference 17/P/1250/F. The application went to the North Somerset planning committee in November 2017 and where Barratt secured a resolution to grant planning permission for the development and are now undertaking the s106 legal agreement.